and an vehicle with left turn signal blinking, means, "pass me now." To help motorists on major highways, the Mexican Tourism Ministry operates a fleet green pickup trucks, known as the Angeles Verdes, or Green Angels. The green Angels are similar to the AAA in the U.S. The Green Angels are a government paid bilingual crew that patrol the toll roads throughout Mexico every day in green trucks, carrying tools and spare parts, looking for motorists in trouble. The Angeles Verdes will provide mechanical assistance, first aid, basic supplies, and towing. In addition They also have a communication network with different government offices and offer basic tourist information. The services they provide are FREE of charge unless your vehicle needs parts or fuel. Even though the services are free tipping is extremely appreciated, however don’t be offended if they do not except it. Dial 078 from any cell phone from 8am to 6pm, 365 days a year. This is the company I use to buy MAPFRE insurance. I had a small fender-bender and they called the police. When they call, you call. Locals told me MAPFRE had offices all over Mexico and were the best. Within 10 minutes they were there. ​I signed papers and left. 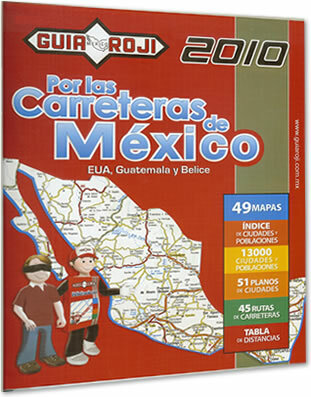 Guia Roji road map of Mexico in one hand and LONELY PLANET, MEXICO in the other. Some Pemex gas stations in Mexico accept credit cards, but most only accept cash. Change your large peso bills at the Casita de Cobro on the cuota toll roads. At the Pemex, have a 200 peso note in you hand as you open the door. Close door and stand in that area. Show them the bill and say, "dos cientos, Magna" (regular gas)(pronouned MAG - NA) If tank is empty, get M$300 or M$400 in gas, but always have exact change. They love to show you the zeroing of the meters. Ask attendant to clean windshield, "Limpia parabrisas, por favor" and tip 5 or 10 pesos. Drive to the restroom after you have paid. Do not leave your vehicle at the pump. More hotels are accepting credit cards. Immediately upon crossing the border, get pesos at exchange booth. If using credit or ATM cards in Mexico, tell your banks. In an effort of fight air pollution, Mexico City has severe driving restrictions from 5am to 10pm, Monday through Friday. Vehicles less than 10 years old can get an exemption sticker. That should include rental cars, but often doesn’t. Check with rental car agency to verify that auto has a sticker. Any car may operate on Saturday and Sunday. The last digit of the license place numbers, including foreign registered cars, determine the day for no drive. Mexico City Police really enforce these driving restrictions. For anyone traveling through Mexico City, the "Hoy No Circula" program as of July 1, 2008 applies to Saturdays. License plates from outside of Mexico City ending in 5-6 cannot circulate the first Saturday of each month, 7-8 the second, 3-4 the third, 1-2 the fourth, and 9-0 the fifth. Also, no vehicles with Mexican plates from outside Mexico City nor vehicles with foreign plates are now allowed in Mexico City from 5 am to 11 am each day. That pretty much leaves you with the option of going through there in the afternoon--major traffic, or at night--can be a bit scary. Mexico gas prices converted from liters to gallons, and pesos to dollars. Mexico Maps provides many choices when it comes to maps of Mexico For touring and recreational needs, we have folded maps, atlases, paper topographic maps and GPS maps. Print forms and keep for records. 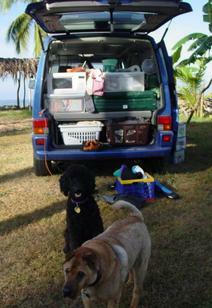 Have passport, vehicle info and credit card ready. In about 2 to 5 days, DHL delivered the package with permit to front door of your home. Put permit on front vehicle window. When you cross border, give copies of passport, auto info,etc. to Banjercito at border. That permit must be returned when you leave Mexico. On the Mexico City / Guadalajara Cuota, about 5 miles west of the Cuitzio/Morelia libre, is the Cuitzio/Morelia/Patzcuaro Cuota. It is well marked coming from either direction. About halfway is the Capula exit. Go east to Morelia or west to Quiroga and Lake Patzcuaro. 14D continues past Patzcuaro to Uruapan & 37D to the coast and Lázaro Cárdenas.